Please note this post is from 2010. There’s something about the start of summer that always gets me excited. I have visions of our family sprawling out on a blanket, packing a picnic, sipping an ice-cold beverage and enjoying some great live music. Of course, sometimes my vision and our reality don’t always mesh (kids are too hot, the bugs are bothering them, I forgot to pack the drinks, it rains, they’re too tired, etc.). But even with some of our previous mishaps, we usually have a good time and there’s always hope that my “vision” for this season will work out. So with that in mind, FFC wanted to share some of the upcoming free summer concerts held throughout Greater Cincinnati. If you have any free concerts that you’d like to add to our listing, please leave us a comment with all the details. After Hours on the Square – Union Centre, West Chester Ohio. Concerts held from 6-9pm beginning June 3 through Sept. 2. Food and beverages will be available but no coolers are allowed. Broad Street Bash – Governor’s Square, Broad St. & Central Ave., Middletown, Ohio. 6-9:30 pm, various concert dates this summer, May 19 – Aug 11. 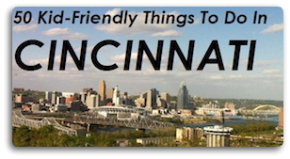 Cincinnati Parks – They have lots of free concerts. You’ll need to click here to get their full schedule of concert events. City of Blue Ash Summer Concerts – Tuesdays & Fridays in June, July & August. Click here for full concert schedule. Tuesday Night Concerts in the Park – 7-9pm at the Blue Ash Amphitheater, 4433 Cooper Road. Evendale Summer Concert Series – Thank you FFC reader, Katie, for letting us know about the Village of Evendale’s summer concert line up. All concerts are held from 7:30-9:30 pm beginning June 5 through September 11. Click here for a list of dates and musicians. Concerts are held at a park behind the Evendale Recreation Center (corner of Reading & Glendale-Milford Roads). Fifth Third West Chester Concert Series – Held at Keehner Park on Saturday nights starting June 5 through Sept. 6. Pack a picnic and bring a blanket or chairs. They have an outdoor amphitheater that is perfect for a summer concert. 7211 Barrett Road, West Chester. Fountain Square – Fountain Square has music galore with their PNC Summer Concert Series. There is a free concert every day (except Saturdays). Landen-Deerfield Park Summer Concerts – They will have six Sunday evening concerts beginning June 6 through Aug. 29. The concerts will be held at the Landen-Deerfield Park Amphitheater at 6pm. Bring your own seating. Bring a picnic or enjoy the onsite concessions available for purchase. Sponsored by Deerfield Township and the Warren County Park District. Sunshine Concert Series – Mason, Ohio. Sundays at 6pm at Corwin Nixon Park. Bring your own seating. June 27-Aug. 22 (no concert on July 4). They will also have concessions available at the Lou Eves Municipal Pool. Thursday Night Live – Mason, Ohio. The Festivals of Mason have a great music line up on the newly designed plaza in Downtown Mason. On the first Thursday of the month (May 6 to Sept. 2), enjoy live music, activities for kids, food and more. Bring your own seats. after hours on the square should be june 5 – sep 4. 6 pm and 7 pm. which is it ? sunshine concert series mason should be jun 29 – aug 23.
thurs night live. what is start time ? How would you start changing the compression of Audacity? I open it up and I am unsure how to alter the default settings…. the FM radio that keep you tune with music and news programmes. easier for you to answer their questions. Fantastic website. A lot of helpful information here. I’m sending it to several friends ans also sharing in delicious. And certainly, thank you on your effort! Usually I don’t learn article on blogs, however I would like to say that this write-up very compelled me to take a look at and do so! Your writing style has been surprised me. Thanks, very nice article. Thanks Ed – I just read about the Levee concerts – thanks for the great additions. Love that they are FREE too. Don’t forget the FREE Concerts on the Levee, check out the Aquarium, get some Ice Cream at the Creamery and then site back, relax and enjoy the FREE music. There is the Devou Park Concerts with the NKY Symphony Orchestra and FUN at the Clifton Contemporary Arts Center – did we mention these are all FREE!!!!! Thanks for this great list Kristin! This will def. help get me organized. .-= Shannanb´s last blog ..Cincinnati Rollergirls Fun =-.